My Self Gautam Ratna Line Producer / Producer of Gautam Films Production. Film and all other Shooting in Delhi & North India. Own Camera, Lights, Shooting Floor, Apple 4K Cylinder Edit Table. We Also Provide Location, Permission, Production. For your group travel needs, we also provide bigger vehicles like Tempo Traveller 13 Seater (A/C & Non A/C), Swaraj Mazda 22 & 18 Seater (A/C & Non A/C). For larger seating, we provide semi luxury and luxury Volvo and other buses. Backed by a diligent team of qualified professionals, we are engrossed in offering Vanity Van Rental Services . This service is appreciated for its timely completeness and low-cost prices. In order to meet the varied requirements of the clients, we offer this service in many options. 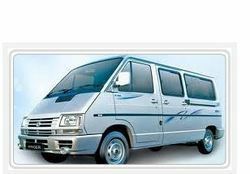 Rental service will be convenient for you for delhi/ncr. 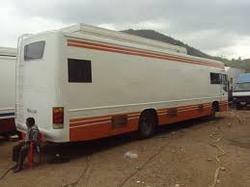 21/ 25 / 31 / 35 Seat Tempo Traveller and Mini Bus for Picnic, Tour, Local Travelling, Marraige. Also for Mahabaleshwar, Goa, Lonawala, Adlab Imagica, Essel World, Water Kingdom, Puna, Katraj, Vani, Alibag, Jejuri, Ganapati Phule from Mumbai to Maharashtra, Gujarat, Goa.